A receding hairline and budget cuts won't stop French President Francois Hollande from keeping his well-paid hairdresser by his side. People are reacting with shock, anger and humor since a government spokesperson confirmed the existence of an official presidential hairdresser who makes 9,895 euros ($10,994) per month and travels everywhere with Hollande. On an annual basis, the taxpayer-funded salary works out to nearly $132,000 a year. That's roughly five times the salary of a typical French hairdresser. In an interview Thursday on French television, Hollande indicated that the public reaction to what Twitter (TWTR) is calling #CoiffeurGate had gotten out of hand. "They can reproach me for anything but this," he said, noting that he accepted a 30% salary cut in his job. Spokesperson Stéphane Le Foll confirmed that the hairdresser's services were incorporated into the budget for the Elysée Palace, which is Hollande's official residence. The spokesperson also pointed out that Elysée operating costs have been recently cut between 15% and 20%. "During my travels alongside the President, whether in France or elsewhere, he is present at all times," noted Le Foll. Information about the hairdresser first emerged in April in a book called "L'Elysée Off" by journalists Stéphanie Marteau and Aziz Zemouri. The book identifies the hairdresser as Olivier Benhamou and notes that he offered free hair services to Hollande and his former partner when Hollande was campaigning to be president. CNNMoney could not reach Benhamou or his former workplace for comment. 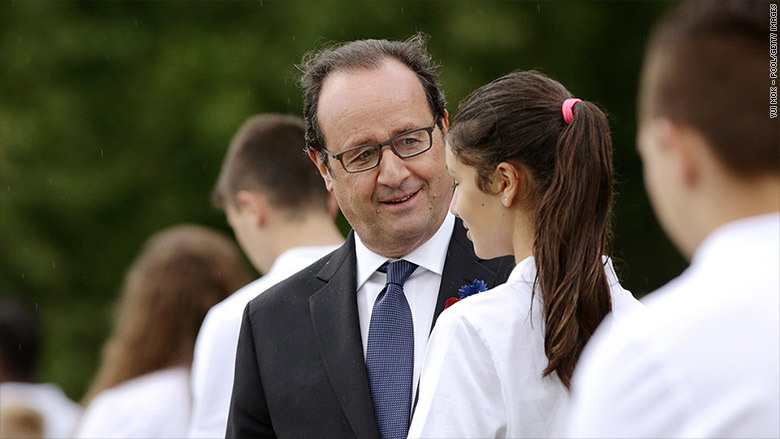 The revelation about Hollande's pricey hair comes at a sensitive time for France. The French government is struggling to introduce reforms in a bid to boost the stagnant economy, which is expected to grow by just 1.1% this year. Widespread strikes to protest new French labor laws created severe gas shortages across the country this spring. And the tourism industry has been struggling following deadly terrorist attacks in Paris last year. "Mais enfin, qu'est ce que tu m'as fait? Ce n'est pas ma coiffure! 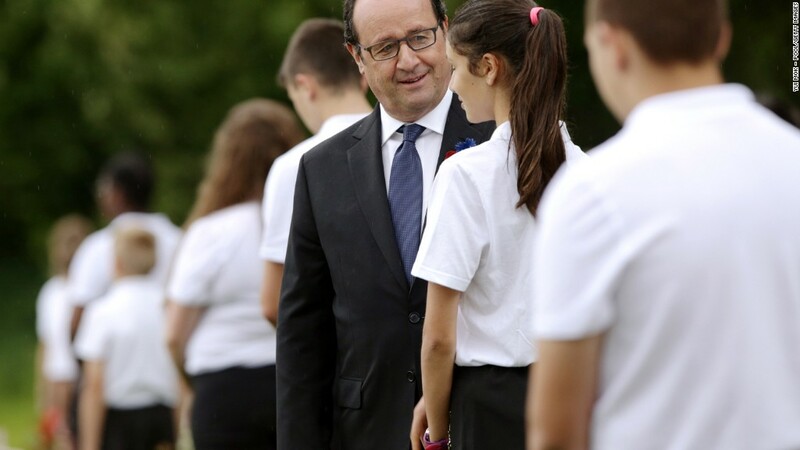 --CNN's Tatiana Reiter and Pierre-Eliott Buet in Paris contributed to this report.